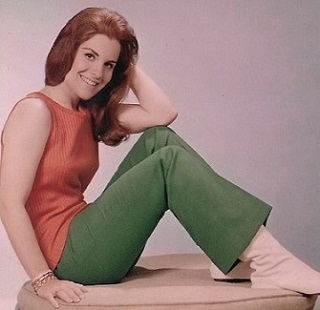 Portrayer: Gaye Huston, November 13, 1964 - September 7, 1967. Barbara Rodell, September 1967 - May 23, 1969. Introduction Scene: (Gaye Huston) Opening the door to Dru, "Uncle Mitch. I thought it was Dad." Exit Scene: (Barbara Rodell) To Sam Lucas in a hospital bed, "Darling Sam... I love you... Time and time and time and time... going on and on... always going on... never stopping..."
Date of Death: May 23, 1969. Cause of Death: Killed in a car crash. Place of Death: Hospital bed. Other Aliases: Lee Carter Randolph (full name). Known as "Portia" to John Randolph and Mitchell Dru in 1964. Relatives: Lee Randolph (RIP), mother. John Randolph (RIP), father. Michael Randolph, half-brother. Marianne Randolph, half-sister. Dates: Mike Quinn (1964-1965), Hal Keefer (1965-1966), Michael Bauer (fiance) (1966), and Sam Lucas (1967-1968). Medical History: Had virus pneumonia (1965). Forced to take a dose of LSD.